With a population of about 170 million and an economy that is one of the largest in Africa, Nigeria has the potential to be a major force in the global auto industry in the next 20 years. This was the view expressed by the Managing Director of Nissan South Africa, Mr. Mike Whitfield, while speaking with motoring editors from Nigeria invited by the company to the just ended Festival of Motoring in Johannesburg. 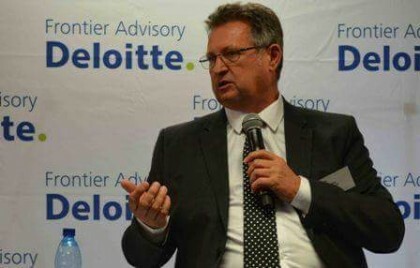 Whitfield, who is also the President, National Association of Automobile Manufacturers South Africa (NAAMSA) and the Vice President of African Association of Automobile Manufacturers (AAAM), however, said that this could be achieved through sustainable implementation of the country’s automotive policy. He explained that putting in place a legislative frame-work that enhances stability and gives certainty over a long period of time, and ensuring a large market for local auto makers by dealing with the twin issues of imported used (Totunbo) vehicles and parallel imports, are factors that will help develop the auto industry. “There is potential if everyone can work together”, he said. “I believe Nigeria could certainly become in a 20-year time period, a major force in the auto industry. Sustainability is the key. It should not be a short-term project. We all are going to focus on industrialisation and diversification”. Whitfield further remarked: “A sustainable auto industry has many facets to it – the first aspect is to build a legislative frame-work that allows stability and gives certainty to distance over a long period of time. The other aspect is that no one is going to invest in a market unless it is of a reasonable size. ‘If one looks at the Nigerian market, 800,000 vehicles were imported (plus or minus) last year, of which only 40,000 were new vehicles with grey imports or parallel imports. The size of the market can only grow if we can offer affordable solution”. According to him, the solution to the dominance of Tokunbo and grey imports does not lie in the production of affordable vehicles only, but also in creating access to finance for people to be able to buy them. Referring to high interest rate in Nigeria, he stated, “If you are lucky you would get vehicle finance at 24 percent in Nigeria, and quite frankly, at 24 percent, you can’t do finance scheme”. He, however, lauded the efforts being made by the Nigerian government through the National Automotive Council (NADDC), in conjunction with a South African Bank, to introduce a vehicle purchase scheme that will enable buyers of made-in-Nigeria vehicles access funds at 10 percent or less. The Nissan South Africa Managing Director who as part of the AAAM delegation that met President Muhammadu Buhari and other top government officials in Abuja recently, described the mission as successful, adding that outside South Africa, Nigeria has the biggest potential for growth. “I think the time has never been better for us to see how we can work together with industry parties in Nigeria to develop a sustainable motor industry. In South Africa, the auto industry creates sustainable jobs and employs directly more than 83,000 people and that is the result of many decades of work. We have to make it start in Nigeria. The potential is massive with more than 170 million people and over 350 million ECOWAS population, no one expects you to build an industry over night”.